Explosion Cube have 4 pieces, a beautiful interlocking puzzle. 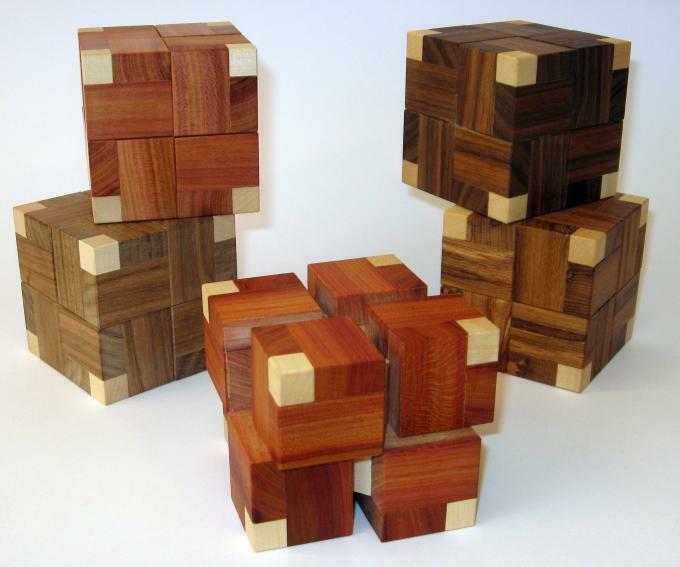 Each puzzle differs a bit from the next (different wood and colour). Difficulty level: 3. Size: 7x7x7 cm. Made in Chech Republic by Vaclav Obsivac.